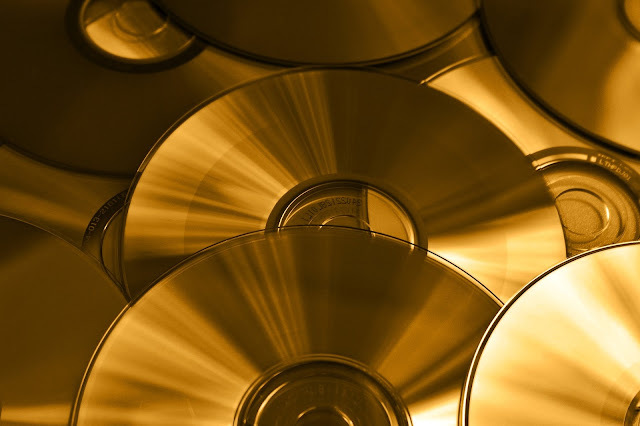 When you need to copy your DVDs onto discs, copy software programs can be hit or miss. If you are taking to the time to move or consolidate your collection, you will want to get the right software to do the job right the first time while protecting your original DVDs. Of course, we need to add a disclaimer that we do not condone copying anything that falls under copyright protections and you should never be copying material for commercial use. Check with your country’s copyright laws before proceeding with your copy project. Then, check with Selby Acoustics to make sure that you have the best sound system setup to see and hear your movies at their best! Here are 10 of the best DVD copy software programs on the market in 2107. This DVD copy software program is compatible with Windows 10 (32 & 64 bit), Windows 8/8.1 (32 & 64 bit), Windows 7 (32 & 64 bit), Windows XP / Vista (32 & 64 bit), and Windows 2003, 2000, NT, 98. It lets you copy to a blank writable DVD disc (DVD-/+R, DVD-/+RW, DVD RAM), ISO image and DVD folder at 1:1 ratio. The reason it tops #1 on our list is because of the copy features available and the fact that it maintains quality of the source; it even will repair bad sectors if the original DVD is scratched or has a minor crack. The copy speed is fast and the CPU usage is low, making it very efficient. A big plus for this program is that you can even burn your files to a new disc, without the original DVD. A negative of this software is that it doesn’t compress larger DVD files onto a smaller capacity disc. This product generally sells for about $49.95 US. 1 GHz Intel / AMD processor or above, 256 MB RAM (512 MB or above recommended), 100 MB free hard disk space, 256 MB RAM graphic card (512 MB recommended), and a DVD-ROM drive. This is a popular product, and has been for many years. It consistently is seen in top 10 lists for DVD copy software products. It is compatible with Windows 8 / 7 / XP / Vista (32 & 64 bit) operating systems. This is the best cloning software when it comes to movies. It preserves perfect quality at a 1:1 ratio and can be used for copying movies on DVD or Blu-ray to blank DVD disc, DVD folder or ISO file on a Windows computer. Another bonus is that it can extract only audio files if you choose, and you can select specific chapters or episodes to copy or back-up. This product generally sells for about $59.99 US. Pentium II 450 MHz (Intel Core2 CPU recommended), 64 MB of RAM (2GB of RAM recommended), 5 GB free hard disk space for DVD-5 (10GB free hard disk space for DVD-9), and DVD burners. This is a versatile software program that can be used for more than just copying or cloning DVDs. you can convert, customise, and create new DVDs with the 123 Copy DVD. It is compatible with Windows 10 / 8 / 7.XP / Vista operation systems. The copy process is simple and straightforward. Users can copy movie or music downloads as well as local video files from their computer to DVD. It will copy scratched DVDs with a decryption plugin. The downsides are slow copy time (1 hour for exact copy quality) and a less than perfect quality ratio when compressing copies. This product generally sells for around $49.99 US. internet connection, 1.1GHz or faster CPU, 10 GB free hard drive space, 1 GB RAM (2GB+ RAM is recommended), and a DVD+/- R(W), DVD DL+/-R Drive (DVD burner required to write discs). This DVD copy software product is compatible with Windows 10 / 8.1 / 8 / 7 / Vista (32 & 64 bit). It allows you to compress files with very little loss of quality. It makes quick work of your copy job, so you won’t be waiting around for long and then the quality is great. The only downside is that there is definitely a learning curve for this software program. This product generally sells for around $49.00 US. Pentium II 500 MHz, 512 MB of RAM, 20 GB of free hard disc space, A DVD-R(W) or DVD+R (W) Drive, and live internet connection to register DVDFab 10. If price is a consideration, this product has a bit of a price drop from the others we already covered, it generally sells for about $39.95 US. This software is compatible with Windows XP (SP2 or later) and Windows Vista. It makes our list because it is very easy to use and makes a high quality copy in less than an hour. The compression quality is very high. Although it may be missing some of the bells and whistles in other software programs, for the price it comes with all of the most important features. It is a great value for the price. 1GHz Intel or AMD processor or above, 256 MB RAM (512 MB RAM or above is recommended), 30 MB free hard disk space for installation (10GB or more for temporary files), Recordable DVD drive, Input File Format Support: DVD-Video, DVD folder, ISO image file, Output File Format Support: DVD-Video, DVD folder ISO image file. This program runs on Windows XP (SP2 or later), Windows Vista, Windows 7, and Windows 8. This mid-range DVD copy software made our list because it is great for making exact copies of DVDs with the right quality blank discs. It has useful tools but there are some quality problems that occur when compressing the DVD onto a smaller one. This product generally sells for around $55.00 US. 1.2GHz Intel or AMD CPU or above, and 1G Ram or higher recommended. This is a good choice for a budget copy software program. It only costs around $29.95 US, which is close to half the price of most others. It is missing some of the different tools and does not have the ability to allow you to split a sidc into two or merge two discs into one; however, it can make identical or compressed copies of DVD movies. It is compatible with Windows 200 / 2003 / XP / Vista / 7. Intel or AMD processor, 1GHz or above. This is another budget option on our list for copy software programs for DVDs and movies. It also costs around $29.99 US, which is also about half of some of the other top spots on our lists. The great thing about 1Step DVD Copy is that it can convert your movies into stand-alone video files on your computer in addition to making DVD copies onto disc. The downside is that it does not allow users to create virtual disks on the computer copying the DVD’s ISO file. It is compatible with Windows Vista x32, Vista x64, 2003 x32, Windows XP x32, Windows XP x64, Windows 7 x 32 / x64, and Windows 8 x 32 / x64. Microsoft’s MediaPlayer 9 or higher, Apple’s QuickTime 7.1 or higher, Real Player installed, and depends on original media files format. Even though this DVD copy software is at the bottom of our list, it still makes the top 10 among hundreds of choices and it is one of the fastest copiers on the market. The downside is that you trade in speed for quality when compressing DVD copies. However, if you need to copy a DVD-9 to a DVD-5, this will do the job for you in only about 30 minutes. The Magic DVD Copier typically sells for about $52.90 US. It is compatible with Windows XP / 2000 / 2003 / Vista / WIndows 7 / Windows 8. 512 MB of RAM, 8 GB free hard disk space, and a DVD Writer Drive. Rounding out number 10 on our list is the 1Click DVD Copy program. This software does an excellent job producing great quality reproductions of DVDs for both compressed and uncompressed copies. It misses the mark in many of the customisation tools that other products have. It sells for about $59.00 US. It is compatible with Windows 8 or previous Windows systems. 500 MHz Intel or Pentium III processor or equivalent with 256MB of RAM, up to a 9 GB available hard disc space for DVD and temporary DVD files, DVD reader (DVD writer required for burning DVDs), and a DVD Writer DVD-R. However, DVD-RW, DVD+R and DVD+RWDVD RAM writers are not supported.